Starting out as a humble royal hunting lodge for the Forest of Compiègne, this cultured town quickly came into fashion in the 1800s when it won the approval of Napoleon I and Joséphine. In the First and Second Empires Compiègne hosted the imperial court and was completely transformed. Top of your list should be the Château, extravagantly redecorated at Napoleon’s request and keeping its 19th-century decor and furnishings. The Forest of Compiègne will also figure in your plans, not just because it’s a lovely natural escape, but a couple of defining moments in 20th-century history also happened here. This neoclassical palace had been a royal residence and hunting lodge since the time of Charles V in 1374. Louis XIV stayed here 75 times and Louis XV reworked the entire estate in the middle of the 18th century, giving it the imposing exteriors we see now. But the interiors are almost all the work of the Napoleons, and it was during the First and Second Empires that Compiègne became the last word in luxury. Napoleon I ordered an opulent refit at great expense, while Napoleon III and Eugénie would bring a whole retimue with them during the hunting season in autumn. Napoleon I’s apartment and the Empress’s lavish rooms are just two of many things to see inside. Two momentous events in 20th-century history happened at this clearing in the Forest of Compiègne. In 1918 German negotiators entered in a carriage on Martial Foch’s private train to sign the armistice to end the First World War. The carriage was preserved as a memorial at this spot from 1927. The significance of the place wasn’t lost on Hitler, who on June 21 1940 chose the same wagon to impose terms on France. The carriage at the site is no longer the original as it was displayed in Berlin for the rest of the war and destroyed at the end. But it’s an exact replica that was built in the same factory and at the same time as the original. At the beginning of the 19th century Napoleon ordered a broad, five-kilometre strip of woodland in the Forest of Compiègne to be cleared for Empress Joséphine. The avenue begins in the château’s gardens and rises to a 122-metre-high lookout at the furthest end. If there’s an ideal time to come it’s probably autumn, when you can hike up and gaze out over the russet autumn foliage. The view stretches out to Compiègne and the château, and it’s still satisfying to observe the arrow-straight ravine through the trees that was plotted more than 200 years ago. From the château’s grounds you can watch the Beaux Monts disappearing over the horizon. As with the interior of the château the gardens were landscaped by Louis-Martin Berhthault and replaced an earlier design by Ange-Jacques Gabriel, the revered architect famous for his work at Versailles. The marble statues along the promenades were added in stages up to 1859 and are in a variety of styles, reflecting the Second Empire’s taste for eclecticism. From April to October you can enter the rose garden, which has been restored to its 1821 layout and has a small pond in the centre, which is one of the few things remaining from Ange-Jacques Gabriel’s designs. Sweeping out from the southeast of the town is the forest where almost every king and emperor, from Charles V to Napoleon III, went out hunting. It is absolutely vast too, with more than 14,400 hectares of low hills. If you’d like to see the best of it the best idea is to hire a bike for an afternoon. You could ride for hours through ancient beech and oak woodland without seeing a soul. And on your route you’ll pass ponds and small tributaries for the Aisne and Oise Rivers. Ensconced in the woodland are sweet hamlets like Saint-Jean-aux-Bois and Vieux-Moulin, both popular destinations for cyclists. As a working town hall there isn’t much you can do here, but the building with its spired belfry is very photogenic and worth pondering from the pretty formal gardens in front. The town hall was built in the first few decades of the 16th century and has the elaborate stonework of the late-Gothic style. You can study the relief of Louis XII on horseback, which was made by the 19th-century sculptor Henri-Alfred Jacquemart during a restoration led by the prodigious Viollet-le-Duc. The belfry houses the venerated “bancloque” bell, which was cast in 1303 and among the oldest communal bells in France. Three automatons, known as “Picantins” mark the hour with their mallets. Just two doors down from the town hall is a museum that will enthral miniature enthusiasts. Initially this massive hoard of figurines was on show in the town hall itself, and the showpiece is a marvellous diorama of the Battle of Waterloo that was assembled in 1931 and is still intact. There were regular exhibitions from the 1920s onwards before the collection, by now numbering more than 150,000 pieces, found a permanent home in the Hôtel de la Cloche on the same square. Many different historical battles are recreated here, from the Trojan War to the beachheads at Normandy in 1944. The town’s largest church is a UNESCO site as it’s on Way of St James pilgrimage route. 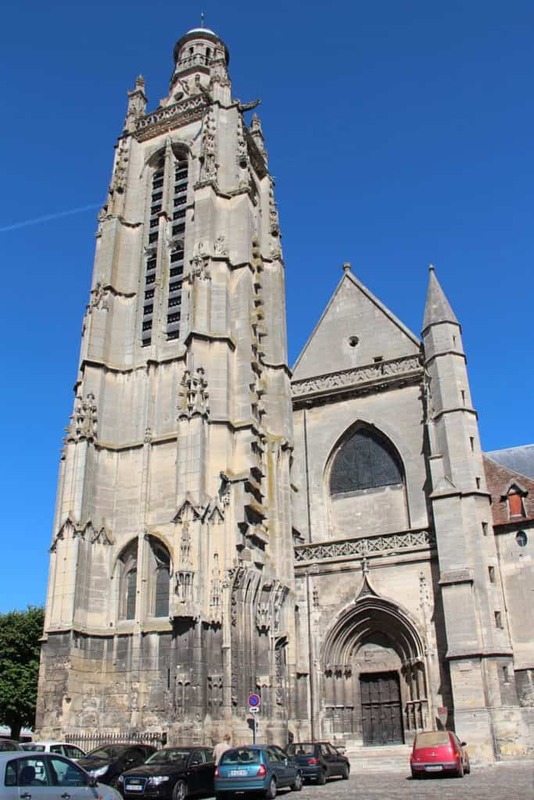 It was first completed in the 13th century with an early-Gothic design, while the chapels, bell-tower (the highest in Compiègne) and upper part of the nave came later, in the 15th and 16th centuries. Some trivia to share about this building is that Joan of Arc prayed here in 1430 on the very morning of her capture. As a royal parish church in the mid-18th century the interior was spruced up during the reign of Louis XV. At this time the columns in the nave were clad with beautifully carved wood, while those in the choir were covered with rich marble. 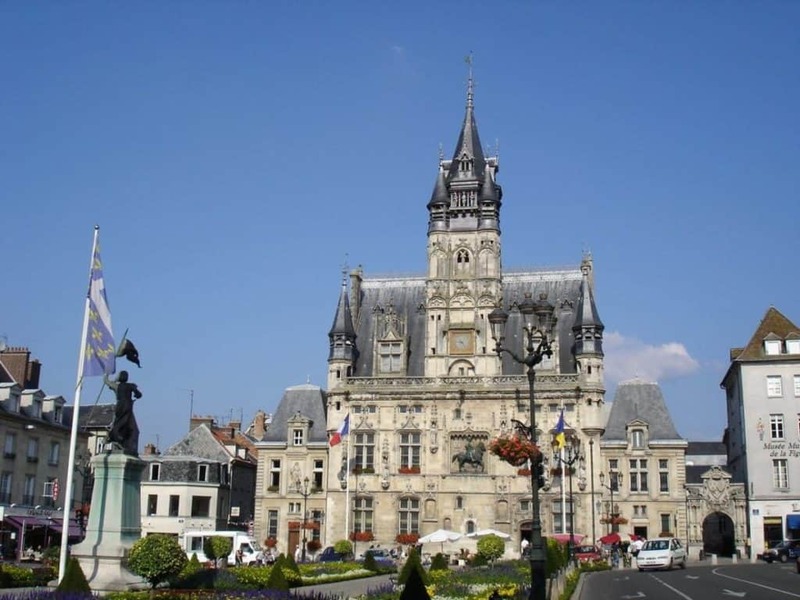 Compiègne’s fine arts and archaeology museum is named for the man who donated the first collections in 1839. Later the museum moved to the refined surrounds of the Hôtel de Songeons-Bicquilley, and the collection has grown through further donations, government deposits and local excavations. Antiquarians will be rapt by what is the greatest assembly of Greek ceramics after the Louvre, and there are also Gallic arrowheads and a Roman marble sarcophagus. In the art galleries you can browse Charles Le Brun’s sketches for Versailles’ Hall of Mirrors among a small trove of works by the Italian and French schools. 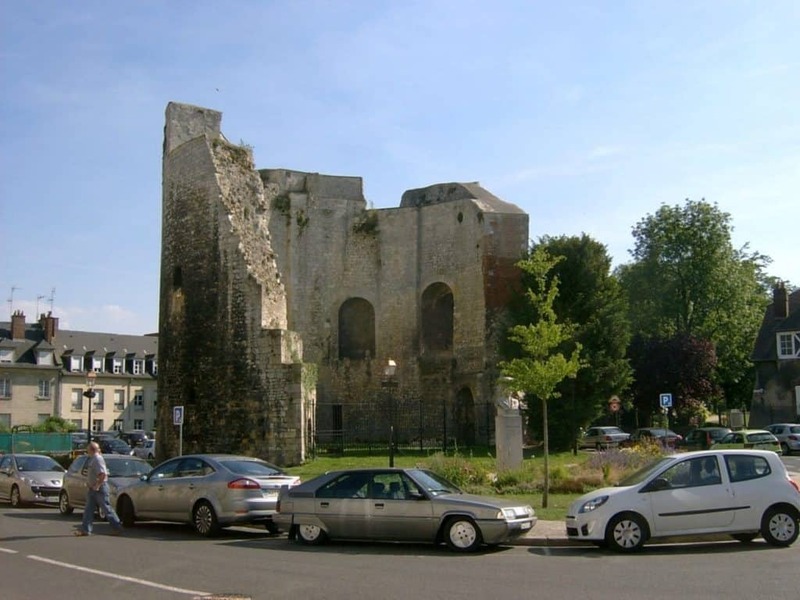 Not much is left of the walls that enclosed Compiègne from the 1100s to the 1600s as they were torn down when they were no longer necessary to allow the town to grow. But there’s a beautiful trace of them in a secret little garden on Rue des Fossés. 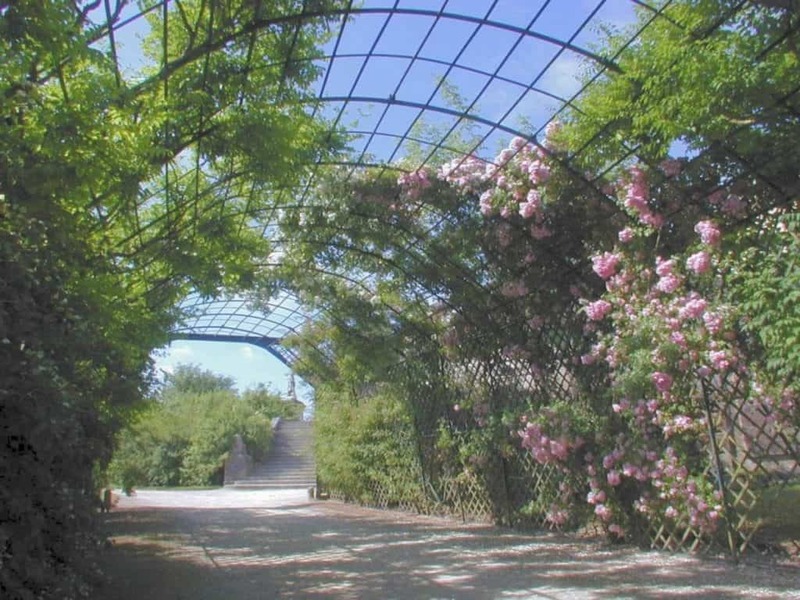 The garden in the former ditch and was created in the early-19th century by Ferdinand Bac who was the son of an illegitimate nephew of Napoleon. 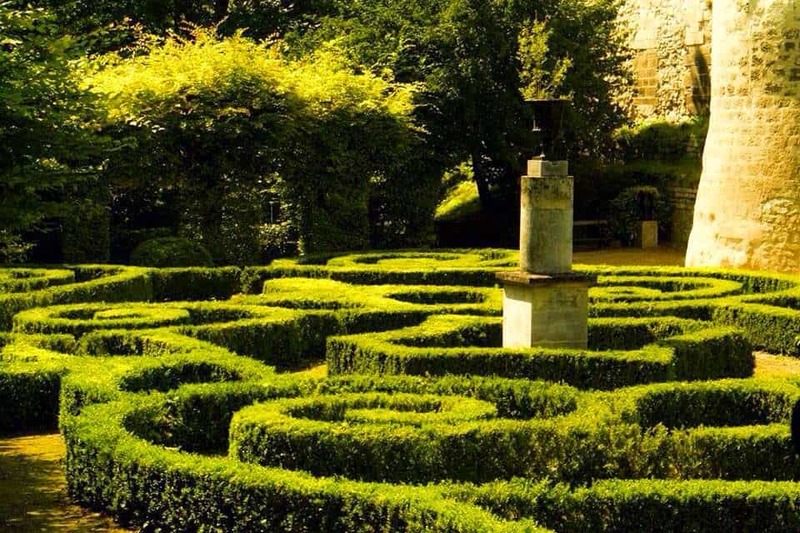 He created the delicate boxwood maze that kids will enjoy solving to this day. Napoleon III ordered the construction of this theatre in 1867 to entertain his court. But within three years the Franco-Prussian War had broken out and following France’s defeat the venue remained unfinished for more than a century. Work didn’t start again until 1987 and the theatre was finally inaugurated in 1991 as Picardy’s only stage for opera. Anyone in the mood for a dash of high culture should check the listings before coming to Compiègne. 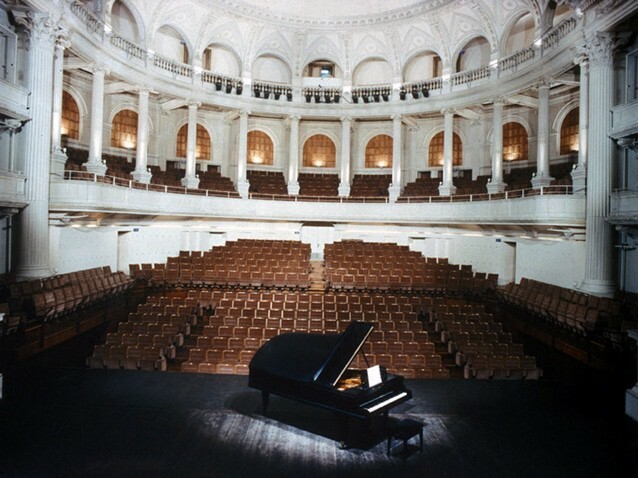 Because the 800-capacity hall isn’t just capacious and lavish, it also has world-class acoustics, considered even better than Vienna’s feted Musikverein . 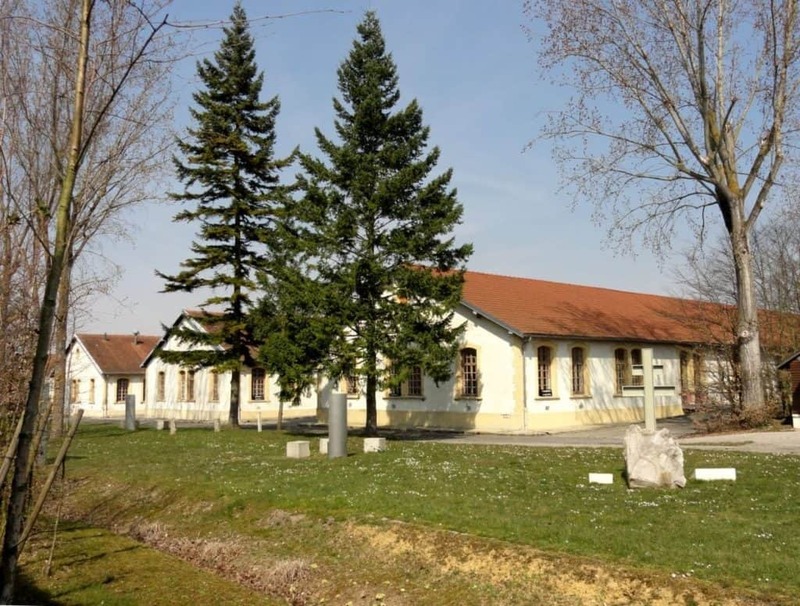 On Avenue des Martyrs de la Liberté is a former internment and deportation camp from the Second World War. Most of the people who were held here were communists, Jewish, trade unionists and members of the Resistance about to be sent to concentration camps in Germany and Eastern Europe. You can enter three preserved buildings that were barracks built for the army in 1913 and first used as a camp by the Germans in June 1940 to process British prisoners of war. In 2008 a poignant monument was installed on the site by the sculptor Georges Muguet. 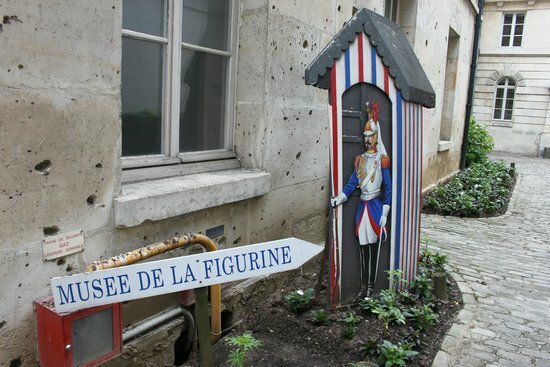 Wedged between Rue d’Austerlitz and Rue Jeanne-d’Arc is another faint trace of medieval Compiègne. This tower is the last decaying ruin of a castle that went back to the Carolingian Dynasty around the 9th century, and would have been given its innovative circular shape around the 1100s. It was built to help defend the old bridge, the remnants of which are also close. From the 13th century it was no longer needed and has been left to decay since then. An alternative name for this monument is Tour de Jeanne-d’Arc as the medieval heroine would have passed the tower before crossing the river where she was captured on May 23 1430. On the other side of the Forest of Compiègne is a château so romantic that it became one of the models for Disney’s Cinderella Castle. The fortress was founded in the 1100s but the evocative muddle of towers, spires and gables was built in the 19th century. So while not all of architecture is genuinely medieval, Viollet-le-Duc, the man in charge of the renovations, is now seen as a genius and it’s his picturesque vision that you’ll be admiring here. You won’t be shocked to learn that the castle has appeared in lots of movies and TV shows, like the Man in the Iron Mask and BBC’s Merlin. The best alcoholic drinks in Picardy are made with apples: Cider is normally brewed in the region by small family operations, and just like wine this means that the drink can have distinct accents depending on where it was made. Many cider producers will also make Calvados, which is an apple brandy that matures in oak barrels for two years. For lunch, rabbit in cider is a year-round dish made of course with cider but also dried fruits and spices to give it a sweet-sour flavour. 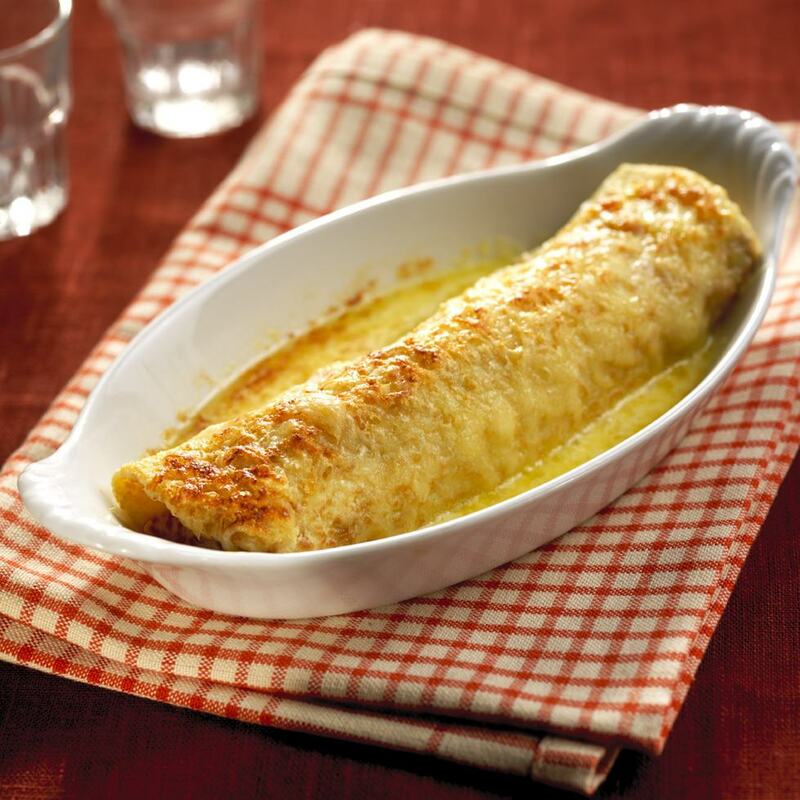 But if there’s a signature dish it’s probably Ficelle Picardie, which is a kid of gratin with ham and mushroom crêpes rolled up and covered with melted cheese.